To speed up your work, all of the keyboard shortcuts can be customized. 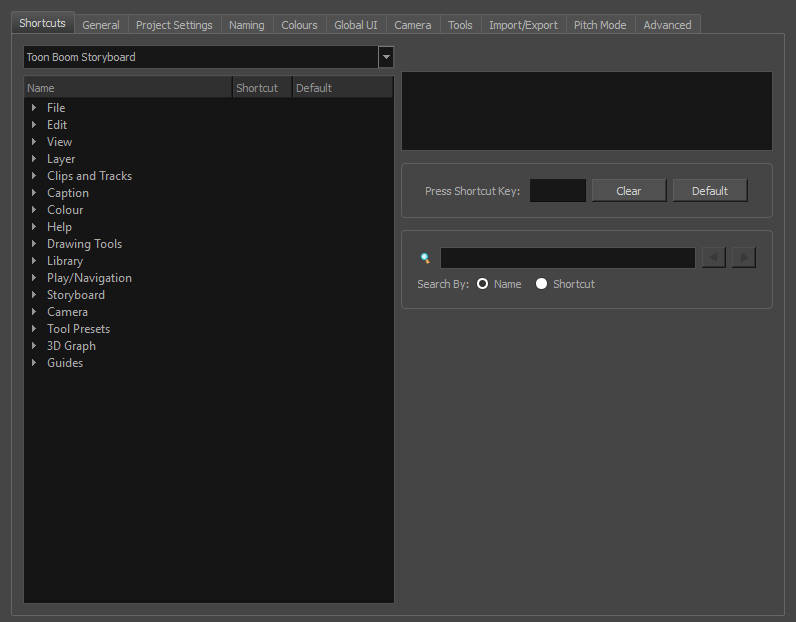 You can even choose to use the Storyboard Pro keyboard shortcut set if you are familiar with Harmony. macOS: Select Storyboard Pro> Preferences.